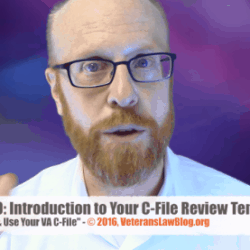 I explain – in layman’s terms – how to use specific court decisions in your cases, get into the finer points of how evidence is used to prove your VA Claim, and more. In short, I teach and write about the things that nobody else does. But every once in a while, it is important to return to the basics. This is particularly true when it comes to Agent Orange Diabetes claims – far too many Veterans do not know about the connection between Agent Orange and diabetes, or that the can file a VA claim for service connection of diabetes. I was reminded of this about a month ago when I talked to a Veteran’s survivor who was shocked that her husband could have been getting service connection for his diabetes – diabetes that eventually killed him – as a result of his exposure to Agent Orange on the Korean DMZ. So, in today’s post, I’m going to go back to basics – we are going to talk about the basics of Agent Orange Diabetes claims. 1. What is Agent Orange? Agent Orange is one of the herbicides that the US used in the Vietnam War to defoliate the countryside. The military strategy was that by removing the vegetation and cover from the forests in the countryside, the population would be forced to move into the cities, which were largely controlled by the US. The thinking was that the North Vietnamese would be stripped of their support in the rural South Vietnamese countryside. Agent Orange got its name from the Orange stripe on the barrels it was shipped in. The US sprayed around 20 million gallons of Agent Orange – and other herbicides – on the countryside of Vietnam, Thailand, Laos, Cambodia, the Korean DMZ – not to mention several bases in the US where Agent Orange was “tested”. The chemical composition of Agent Orange is part 2,4,5-T and 2,4-D…the resulting mixture is an extremely toxic herbicide, described by a scientist in 1979 as “perhaps the most toxic molecule ever synthesized by man”. The compound causes major serious health problems in the people who come into contact with it, or ingest it. Monsanto – one of the manufacturers of Agent Orange – is known to have informed the government as early as 1952 of the toxicity of the compound. Nevertheless, the US Military advised soldiers that were exposed to Agent Orange that the compound was completely safe. Over the years, the list of serious medical conditions that are known to be caused by exposure to Agent Orange – not only in Veterans but in the children of Veterans exposed to Agent Orange. One of those conditions caused by exposure to Agent Orange is diabetes. Here is the full list of Agent Orange presumptive conditions published by the VA.
Oversimplified, Diabetes is a medical condition where there is a chronically high level of sugar in the blood. Though the uneducated masses want you to think that high glucose levels in the blood are caused by eating “too many Twinkies”, there are in reality many different medical causes of diabetes. They all come back to a couple things: the body is not able to produce ANY insulin (Type I Diabetes), it is unable to produce enough effective insulin (Type II Diabetes), and/or the body cannot properly absorb the blood glucose into fat cells. (This is over-simplifying the science behind this, so my apologies to doctors everywhere). NOTE: Insulin is how the body regulates and limits the levels of glucose in your blood. 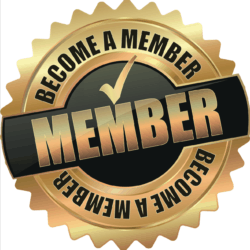 * Over 382 million people in the world have diabetes as of 2013. * Women can get what is known as “gestational diabetes” during pregnancy – resulting in an increased risk for adult diabetes after the pregnancy. * The risk of cardiovascular disease in diabetics is highly elevated. Think of it like this: if you put diesel instead of gas into the gas tank of your car (assuming your car is not a diesel engine), over a prolonged period of time you are going to damage to your fuel pump. Like a fuel pump, the heart is designed to handle blood with a certain chemical makeup. Too much glucose in the blood stream and your “ticker” is going to have trouble keeping up in a few years. 3. 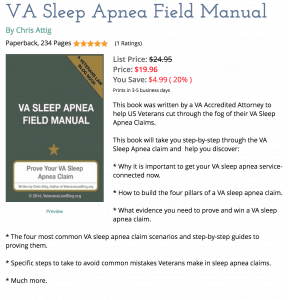 Agent Orange Diabetes and VA Claims. A lot of Veterans would not ever think that their Type 2 Diabetes could be related to their exposure to Agent Orange in Vietnam, Thailand, Korea, or elsewhere. This is because the pervasive myth is that Diabetes is a disease of “fat people”. Diabetes is not just a disease of fat people – and if you believe that, you need to get educated about the disease. 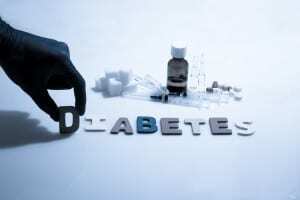 Diabetes results from – simply put – the body’s inability to monitor sugar levels in the blood. Dioxin, and TCDD, the components found in Agent Orange, disrupt the bodies ability to monitor glucose levels in many ways. One way is by disrupting the bodies ability to produce insulin (which is how the body regulates the sugar in the bloodstream). Another way is that it disrupts the bodies ability to absorb glucose out of the blood stream and store it in the body’s fat cells. There are some real complex mechanisms going on here – and fortunately Veterans filing an Agent Orange diabetes claim do not need to prove them. 1) The Veteran proves he (or she) was exposed to Agent Orange while serving in the military. (Veterans that served with “Boots on the Ground” in the Republic of Vietnam are presumed exposed to Agent Orange – Thai, Korea and Blue and Brown Water Navy Vets have a few extra hurdles to jump through). 2) The Veteran proves that he or she has a diagnosis of Type 2 diabetes. In all honesty, most “Boots on the Ground” Vietnam Veterans do not often have a problem service connecting Diabetes. This is because even the greenest of VA employees can spot this fact pattern in a VA claim. * Frequently fails to properly rate the percentage of compensation for diabetes. * Frequently fails to follow the Nehmer rules in applying effective dates. In addition, the VA frequently misses the connection between medical conditions that are secondary to diabetes and conditions that are aggravated by diabetes. And don’t forget that there are many ways that military service can relate to a Diabetes diagnosis. The body’s sleep breathing functions and its glucose regulation are connected. Disruptions of the sleep breathing cycle can limit the body’s ability to produce insulin (thus increasing the blood glucose level) and leading to a diagnosis of diabetes. Recent studies are showing, too, that Veterans with Sleep Apnea often have an increased resistance to chemical insulin – the insulin that diabetics often inject into their blood to control their blood sugar. Sleep Apnea can not only CAUSE diabetes, but it can also limit the ability of doctors to TREAT the diabetes, too. Put too much sugar in the blood, and its going to mess with the heart and the blood vessels that carry that glucose-laden blood. If you are diabetic, be on the look out for symptoms of coronary artery disease, heart attack, stroke, artherosclerosis (narrowing of the arteries) and hypertension (high blood pressure). Too much blood glucose not injuries your blood vessels, but it also wears down the walls of your capillaries – the tiny little blood vessels that bring oxygen and other nutrients to your nerves. So, diabetics not only can have pain any where there are nerve endings (typically the legs and hands), but they can also have reduced functionality of their senses (vision, hearing, etc) due to the impact of blood glucose on the nervous system and organs. In many cases, severe diabetes can lead to loss of vision, loss of color vision, glaucoma, cataracts….it can even lead to amputations of the extremities due to severe untreated (or poorly treated) diabetes. The science on this is still developing, but I am reading more and more about the correlation between diabetics and the incidence rate of Alzheimer’s. It is not yet clear to me if the diabetes is causing Alzheimer’s disease, or it is causing Vascular Dementia (which makes a lot more sense, although I am not a doctor). In one of our cases, I had the opportunity to be educated by one of the nation’s top forensic pathologists about the differences between Vascular Dementia and Alzheimer’s disease – and how frequently the two are ‘confused’ even by the medical profession. When a Vietnam era Veteran dies of Liver disease or cirrhosis, the VA typically denies whatever survivor claim was filed. This is because the VA sees cirrhosis as a disease solely present in alcoholics – again, another myth. They then tell the Vietnam era Veteran’s survivor that the law precludes service connection of drug or alcohol use/abuse (this last statement is patently false, and a complete misunderstanding of the law – read here to find out more). The simple fact of the matter is that one of the leading causes of death in diabetics is Liver disease – commonly cirrhosis. If you are the surviving spouse of a Vietnam era Veteran who died of complications from diabetes, you may be entitled to a lot of survivor benefits – from compensation to Dependent’s Educational Assistance, etc. Find an attorney that knows what they are talking about when it comes to Veteran Survivor benefits.